Editorial director Katy Loftus bought UK and Commonwealth rights to The Wych Elm from her long-term agent Darley Anderson , who described the novel as “an ambitious, thought-provoking, page-turning, masterpiece”. It is slated for publication for spring 2019. The American-Irish author has written six award-winning novels published by Hodder, all set in Dublin, featuring different members of a fictional murder squad. 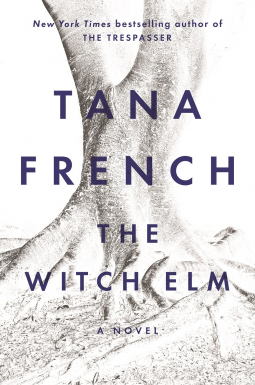 The Wych Elm marks a move away from that series, with a central character who finds himself at the centre of a murder case when a skull is discovered in his family’s ancestral home. The shortlisted six were whittled down from a longlist of 18 titles. The prize, created to celebrate the very best in crime fiction, was open to UK and Irish crime authors whose novels were published in paperback from 1 May 2017 to 30 April 2018. Val McDermid’s Insidious Intent features DCI Carol Jordan and Tony Hill, two of the most iconic characters in crime fiction. The LA Times said it was a novel that ‘shows Val McDermid deserves her Queen of Crime crown’. McDermid last received the Novel of the Year accolade in 2006. Denise Mina could make it a hat-trick after winning the award in 2012 and 2013, she is the only author to date to have won the Novel of the Year in two consecutive years. 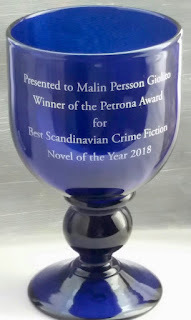 The Long Drop has already attracted a wealth of awards; Mina was the first woman to win The McIlvanney Prize for The Long Drop. Abir Mukherjee is the only author on the shortlist for a debut novel. A Rising Man, saw Abir Mukherjee picked as a 2016 New Blood author by Val McDermid at the Festival. She hailed it as, ‘One of the most exciting debut novels I’ve read in years.’ It too has won awards, including the CWA Historical Dagger. 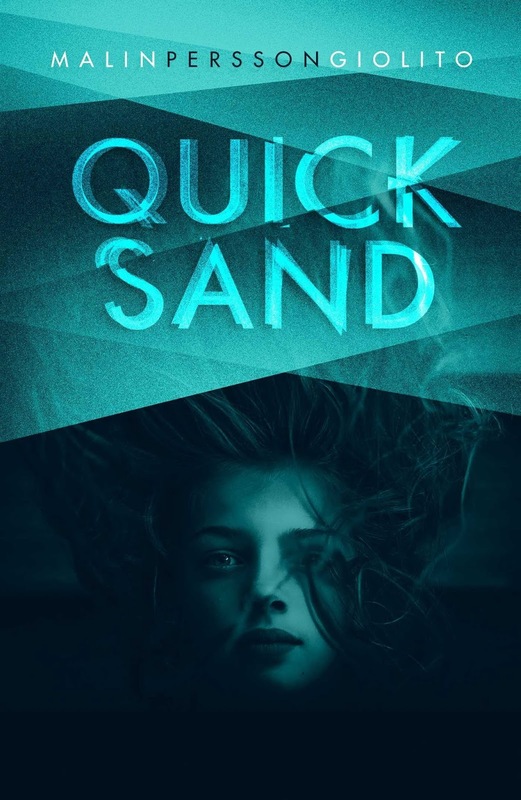 His sequel in the Sam Wyndham series is A Necessary Evil. The Intrusions by Stav Sherez was a 2017 Guardian and Sunday Times book of the year, dubbed ‘A Silence of the Lambs for the internet age’ by Ian Rankin. The book was acclaimed by critics for its echoes of Emile Zola and influences from Graham Greene to Dostoyevsky. Former Guardian journalist Susie Steiner’s first crime novel introduced Detective Manon Bradshaw in Missing, Presumed, a Sunday Times bestseller. Her follow up, Persons Unknown, a Richard and Judy book club pick, has attracted huge critical acclaim. 2018 marks the 14th year of the Theakston Old Peculier Crime Novel of the Year award. The shortlist will feature in a six-week promotion in libraries and in WHSmith stores nationwide. The overall winner will be decided by the panel of Judges, alongside a public vote. The public vote opens on 1 July and closes 14 July at www.theakstons.co.uk. 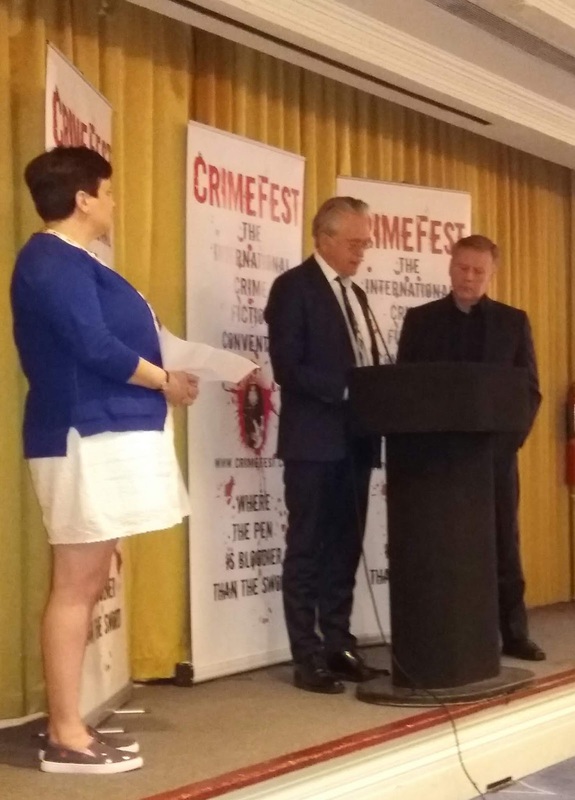 The winner will be announced at an award ceremony hosted by broadcaster Mark Lawson on 19 July on the opening night of the 16th Theakston Old Peculier Crime Writing Festival in Harrogate. The winner will receive a £3,000 cash prize, as well as a handmade, engraved beer barrel provided by Theakston Old Peculier. Here is the press release containing the CWA Longlististed titles for the Gold, Ian Fleming, John Creasey, International, Historical and Short Story Daggers plus the Dagger in the Library. 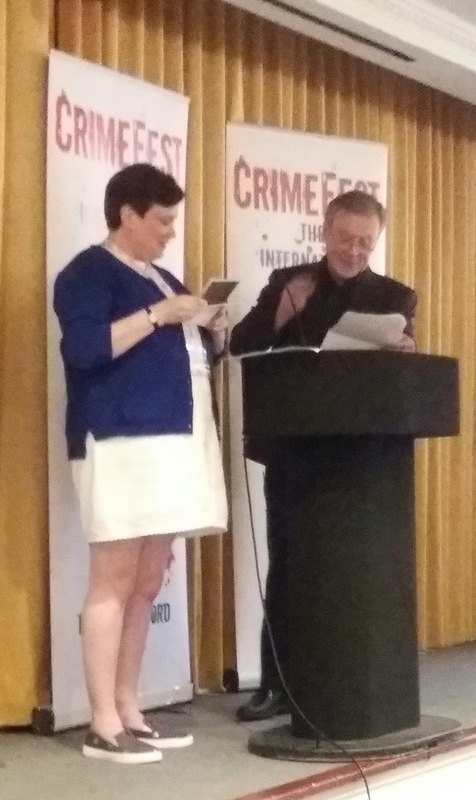 The Crime Writers Association announced the much anticipated longlists for the annual Dagger awards at a reception during CrimeFest in Bristol on the evening of Friday 18 May. Several titles appear on more than one list: The Seven Deaths of Evelyn Hardcastle by Stuart Turton and Resurrection Bay by Emma Viskic both appear on the longlist for the CWA Gold Dagger and the John Creasey (New Blood) Dagger, while A Necessary Evil by Abir Mukherjee is on the Gold and the Historical longlists. Meanwhile London Rules by Mick Herron appears on the Gold and the Ian Fleming Steel longlists – he won the Ian Fleming last year with Spook Street, just as Mukherjee won the Historical with A Rising Man. For the CWA International Dagger, names like Fred Vargas, Pierre Lemaitre and Dolores Redondo again make an appearance together with Lilja Sigurdardottir and the late Henning Mankell, while the late Philip Kerr also appears on the Historical longlist. So do plenty of other stars including Nicola Upson, LC Tyler and Frances Brody. Lee Child makes three appearances on the CWA Short Story Dagger longlist, and Christine Poulson also appears there with her story ‘Accounting for Murder’ from the CWA’s own anthology, Mystery Tour – she is also shortlisted for the Margery Allingham Short Story prize, awarded at the same event. Chair of the CWA and President of the Detection Club, Martin Edwards, is longlisted for the ALCS Gold Dagger for Non-Fiction with The Story of Classic Crime in 100 Books and he also appears on the longlist for the Dagger in the Library, together with other stand-out names such as Sophie Hannah, Peter May, Martina Cole and several others – it’s an exceptionally strong list this year. The CWA Daggers, which are the probably the awards crime authors and publishers alike most wish to win, are awarded every year in 10 categories. The Diamond Dagger, for a career’s outstanding contribution to crime fiction as nominated by CWA members, was announced earlier in the year and has been awarded to best-selling author Michael Connelly. Here are the CWA Dagger longlists for 2018. Shortlists for the Daggers will be announced in July and the winners will be announced at the Dagger Awards dinner in London on 25 October, for which tickets are now available. Visit www.thecwa.co.uk for more information or email admin@thecwa.co.uk . The winner was Russell Day with his story ‘The Value of Vermin Control’. The competition is a joint initiative between the Margery Allingham Society and the CWA. Jonas is 35 years old, a loner working as an analyst in the quieter backwaters of British Intelligence. His personal nightmare erupts when his father, the Reverend Samuel Worth, is taken hostage during an ecumenical mission of support to the Christian Church in Syria. Theirs is not a warm father-son relationship and Jonas is ravaged by guilt at not advising his father better and at allowing their animosities to come between them at what may prove to have been their last contact. Unable to provoke his employers and the British government to deviate from their policy of refusing to pay ransom demands nor to speak clearly on their progress in negotiating his father’s freedom, Jonas, unkempt and increasingly unruly, begins to foster his own plans. Now, months later and on Special Unpaid Leave which is dismissal by any other name, he has based himself in Beirut. He has already been visited by Desmond Naseby who introduces himself as a visiting SIS officer on a brief stay in Beirut and anxious to check up on him. How is he is getting on? Would he like to see the latest on the negotiations in his father’s case, blah-di-blah? Naseby looks around the flat on the pretext of “a niece” coming to study in Beirut and wondering about accommodation. Why was Jonas even here? Turkey, Naseby could understand, but Beirut? And people are concerned about Jonas. This isn’t London. And then of course everyone is worried about that Snowden chap, how much damage a USB stick can do. In turn, Jonas wonders what more he could have done to flesh out Naseby’s portrait of him as a useless mess; “no cause for further concern”. An empty vodka bottle would have been a good idea, plenty of glasses lying around. Jonas has tracked down his own hostage negotiator. Tobias is a Swiss national, a defrocked and alcoholic priest who has acted as a negotiator in the past. Jonas had presented himself to Tobias as a journalist but now he paints himself as the most secret of secret agents on a mission to get a hostage out of Syria. Tobias is distrustful but eventually consents, demanding his own favours by way of payment: a UK visa and safe passage across the border for a Syrian woman. Jonas realises too late it would have been easier if he had laid the truth before Tobias, that the hostage was his own father. 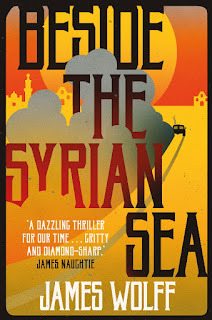 But in accepting the price set by Tobias he has raised the stakes on his elaborate trail of deception which will see him pursued and threatened by MI6, the CIA and both ISIS and Hezbollah during his desperate journey to the Syrian border. We often talk about unlikely heroes but Wolff's compassionate portrait of his protagonist Jonas, in this his first novel, is exceptional. Driven by a dreadful need to put things right and deprived of his own carefully controlled boundaries and routines, Jonas unleashes within himself – to his own utter bewilderment – what he himself calls a "wildness". And it is this wildness, together with a marshalling of his own habitual tics of memory and pattern recognition which provide the engine for his extraordinary attempt to free his father. Wolff's characterisations do not stop there: the Swiss priest Tobias; Maryam, the Syrian woman fiercely loyal to Tobias; the British agent Naseby who, dressed in tennis whites and clutching his wife's offering of a cottage pie, seems to have stepped straight out of Olivia Manning's Balkan Trilogy. The foul mouthed, lethal, CIA man, Harvey, is a more modern beast – as are the London-grown, street-talking, ISIS kidnappers. Wolff’s range of characters are detailed and convincing and in this beautifully constructed thriller he piles on the pressure to the end. Sometimes I think that crime novels answer a reader's emotional need for justice to triumph, no matter how rough. Similarly, perhaps spy thrillers allow the reader to indulge a paranoid adrenaline-fuelled flight from the all powerful "they" who are out to get us. 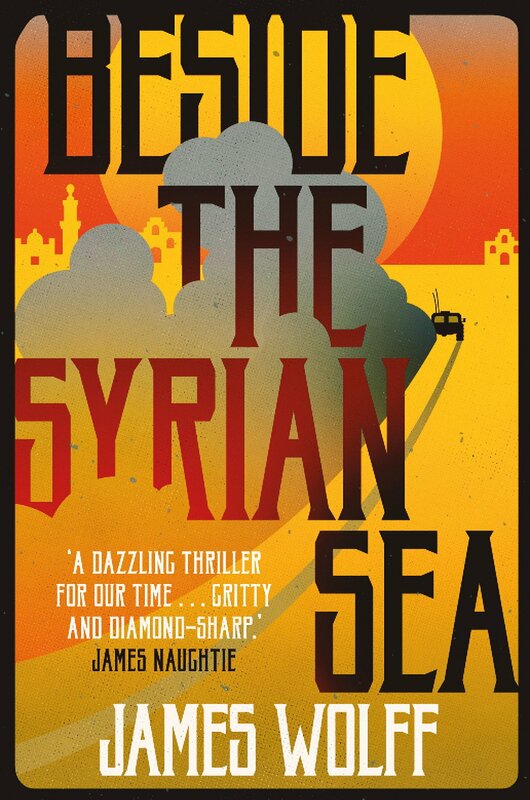 Certainly everyone is out to get Jonas and BESIDE THE SYRIAN SEA is a brilliant, gripping and moving thriller. Agatha Christie's mysterious 11 day disappearance in 1926 gripped the nation and set off one of the biggest manhunts ever mounted. In desperation, Britain's most famous crime writers of the time, Sir Arthur Conan Doyle and Dorothy L. Sayers, were drafted in to help the search. As they took matters into their own hands with their contrasting methods of detection, this was the beginning of crimes most unlikely investigative partnership: Sayers and Conan Doyle, together at last and on the hunt for Agatha Christie. 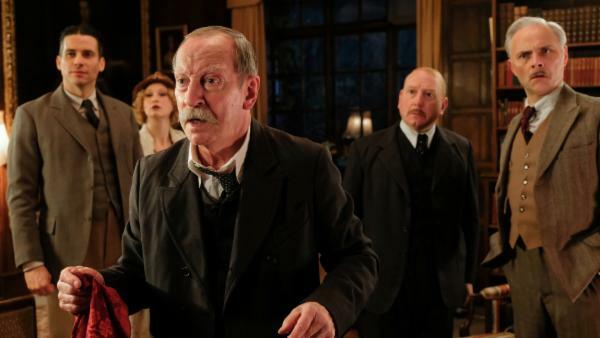 Starring Anna Maxwell Martin (Agatha Christie), Bill Paterson (Sir Arthur Conan Doyle), Rosie Cavaliero (Dorothy L. Sayers), Adrian Scarborough (Inspector Danders) and Robert James-Collier (Colonel Archie Christie). Written by Paul Doolan and Abigail Wilson. Directed by Guillem Morales. Produced by John Rushton. Executive Producers Lucy Lumsden and Lucy Ansbro. Produced by Yellow Door Productions. Michael Joseph have bought the rights to The Chestnut Man by Søren Sveistrup. Søren Sveistrup is best known here as the creator of The Killing and this is his first novel. It is scheduled for UK publication in October. Set in Copenhagen, The Chestnut Man opens on the day a government minister returns to work a year after her 12-year-old daughter went missing. On the same day, a young mother is found brutally murdered in a city suburb, her hand cut off and a chestnut doll-figure hanging from a nearby Wendy house. Detectives Thulin and Hess form an unlikely duo must to find the culprit whilst encountering trouble in their own personal lives. Here's a snapshot of what I think is published for the first time in May 2018 (and is usually a UK date but occasionally will be a US or Australian date). May and future months (and years) can be found on the Future Releases page. If I've missed anything or got the date wrong, do please leave a comment. • Jarlvi, Jessica - What Did I Do?